The Kingspan KoolDuct system is a pre-insulated, high efficiency air duct system suitable for a variety of air distribution applications. offering high R-Values. This system is changing the HVAC industry. For more information on the complete Kingspan KoolDuct System, please contact us. Pricing KoolDuct became a lot easier with the public release of Benchmark Enterprise Software. Benchmark is a CAD solution that allows for design, estimation and fabrication all in a single suite of software. This includes a full phenolic library of parts and built in SMACNA phenolic duct construction standards that guide your work. Trace or place phenolic duct over a pdf drawing and line item costs for an accurate bid every time. The Kingspan KoolDuct system is a pre-insulated, high efficiency air duct system suitable for a variety of air distribution applications. 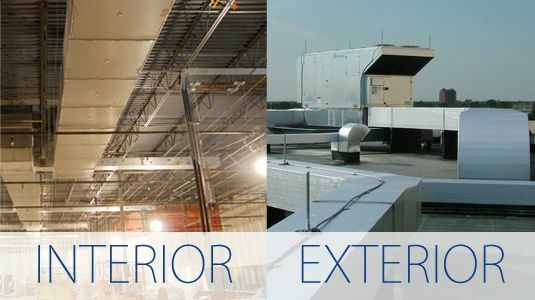 It offers advantages over sheet metal ductwork, being lightweight, needing shorter installation time, having virtually no air leakage and offering high R-Values. This system is changing the HVAC industry. For more information on the complete Kingspan KoolDuct System, please contact us.